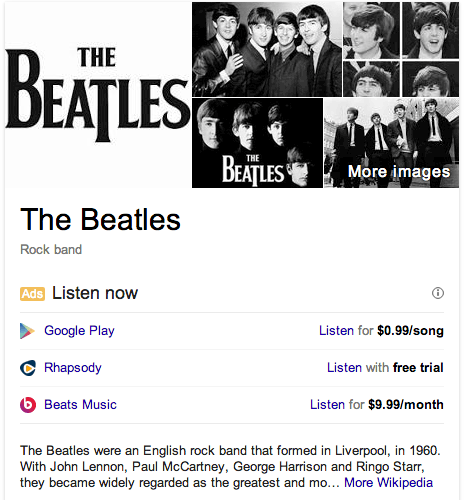 Google is now showing a new ad format for music related queries. 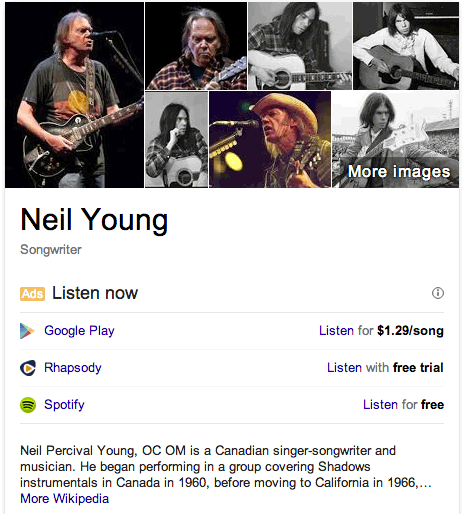 If you search for [neil young, [the beatles], [led zeppelin] or any other band or artist, you will most likely see ads within the knowledge graph to "Listen Now" either via Google Play, Rhapsody, Beats or Spotify and possibly others. Google told the WSJ, “we’re happy to help users quickly find legitimate sources for their favorite movies, music and more via Google search."